Wizcrete Concrete specialises in the application of heavy-duty, durable floor coatings that are resistant to chemicals, solvents, grease and oils, making them ideal for high wear areas. Arrange a FREE on-site consultation today. Call 02 9499 4745 . Wizcrete Concrete offer full supply and installation of high-performance floor coating and sealing systems in a wide range of colours and finishes to suit any application. Our team has many years of experience so you know the finished product will be to your satisfaction. We arrive on time and work quickly to ensure your project remains on time and on budget. Due to the hard, smooth, seamless finish of epoxy, and with the installation of covings, the removal of fats, oils and food build up is made much easier to clean away. At Wizcrete, we supply and install the most cost-effective, low maintenance flooring solutions for the industrial market. No matter what type of facilities whether restaurants, offices, medical facilities, retail or storage rooms, floors need to be durable. Each space has different requirements which mean not every flooring solution will be right for your needs. 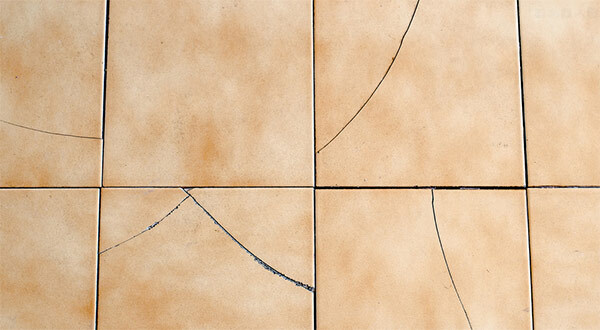 Next, we will take a look at the pros and cons of the three main options available, which are tiles, vinyl and epoxy. This will help you choose the best solution for your floor. The biggest advantage of using tiles is their aesthetic appeal. You have a wide range of colours and patterns to choose from. This allows you to find the sizes and materials to get to the look you love for your space. Whilst tiles look good, and surface spills and dust can be wiped away easily, the final installation is not seamless. Tiles may look good when they are first installed however constant traffic and exposure to contaminants such as waste or cleaning chemicals can stain the grout lines makes the floor look unclean. When it comes to commercial floors, tiles can become unhygienic very quickly as there is a high chance of water penetrating the grout lines and joins, allowing bacteria to breed and spread. Tiles are also not practical if exposed to heavy mechanical and temperature impacts as they are easily cracked and broken. This can create safety and health concerns if unattended and costly to repair. To summarise tile may provide options in terms of aesthetics, most commercial environments need to meet strict safety & health requirements which tiles may not necessarily meet. Vinyl is commonly used in medical facilities, commercial kitchens and schools and is a popular choice. But it must be installed correctly. If the installation is done right, this style is water resistance and handy in many situations. Vinyl has the advantage that it is highly durable and resilient to most oils and chemicals, is easy to clean and maintain. However, because vinyl is only a thin material it is prone to wear. As it is not seamless and tends to lift or start peeling, so in these areas’ bacteria can breed and spread rapidly. The other important consideration with vinyl is that it cannot withstand heavy loads or impacts. Recently epoxy floor coatings have gained popularity as a commercial flooring option as they are highly customizable and easy to maintain. There are many options when it comes to coatings and clients can select a product based on its chemical, impact and slip resistance to meet the needs of the area. Epoxy coatings are also 100 per cent seamless which makes them completely impervious to liquids and leaves no place for bacteria to breed. They can also be used for rehabilitation as well as for new installations. 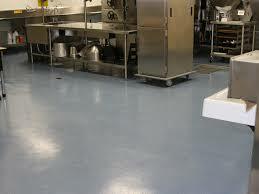 A wide number of epoxy variations are available to provide the best possible solution for the commercial environment. These benefits include non-slip, chemical resistance, mechanical and temperature impact resistance, traffic resistance, dustproof, oil and grease resistance. There are also many options available to customise the floor aesthetic. Epoxy floor applications can come in a huge of colours and finishes. 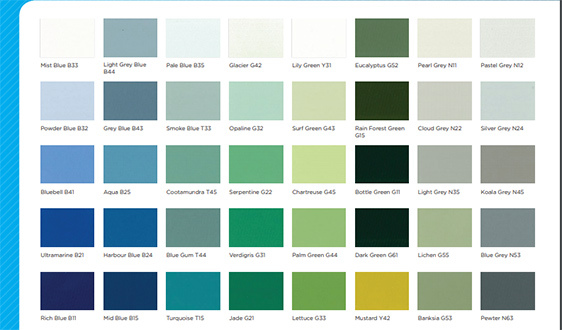 Here is just a small sample of the epoxy colour range available to you. As with any flooring solution, preparation and installation is crucial. Selecting a high-quality product and experienced installers should be the priority. 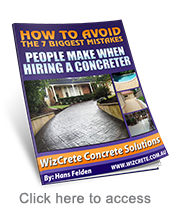 For this reason, Wizcrete Concrete Solutions have a strong and trusted network of trained applicators throughout Australia to assist with factory floor and warehouse floor applications. Flooring is an important consideration for the internal design of a commercial warehouse, offices, retail or storage rooms. In all the above flooring is subject to a lot of wear and tear and therefore the choice of the correct flooring is crucial since it is a part of the initial investment and is often spread across a large area. One of the most widely used flooring options is epoxy flooring. It is hence, the recommended flooring option for both residential buildings and industries. The epoxy floor coatings are usually applied over concrete floors to provide best binding results and aesthetically attractive surfaces. The term epoxy refers to a form of catalysed plastic. It is basically a resin and is typically a compound of bisphenol-A and a polyamine. Generally, the polyamines are used to harden the surface or the floor. A catalytic reaction occurs when the resin and hardener combine. They bind to each other and create a chemical crosslink that is high in strength. This binding technology is the reason why epoxies can be recoated in a short period of time. There are three main types of epoxy for flooring. 100% solids epoxy is the best choice as it performs the best. Water and solvent based epoxies are considered user-friendly, but this type of epoxies is not as durable and cannot be applied as a thick coating like the 100% solids ones. 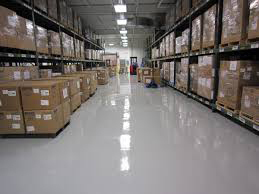 The solid epoxies capably meet all the stringent requirements that are to be complied with when designing an industrial floor. It offers strong adhesion, excellent chemical resistance and toughness. Further, epoxy floors, in general, are abrasion resistant, waterproof, heat resistant, and resistant to the action of corrosives like acids and alkalis. They are non-toxic when dry and hence, can be used safely even in residential projects. One of the main advantages of epoxy flooring is the ease of maintenance. 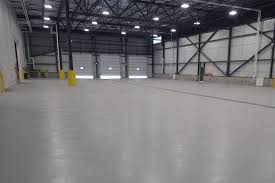 Concrete floors need appropriate protection and an epoxy floor is the best choice to offer protection against abrasion, chemical attack and thermal shock, which are commonly experienced in an industrial set up. 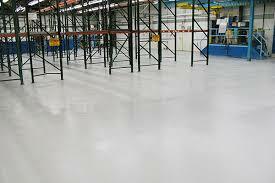 Wizcrete is a leading industrial epoxy flooring solutions provider in New South Wales. Be sure to check out our Amazing Triple Guarantee on all our Epoxy flooring work.